Overview… a fun-loving, creative Lebanese-American from Toledo, Ohio who’s currently trapped in the U.S. Army. 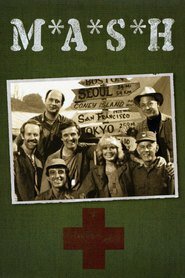 Corporal Maxwell Q. Klinger has only one goal as orderly/corpsman at the 4077th Mobile Army Surgical Hospital (M*A*S*H unit) in Korea – to convince those in charge that he is mentally unfit for service. If only he could earn himself a Section 8 discharge, he could return to his crazy relatives in Toledo. Despite habitually dressing in women’s clothes that would make even Academy Award-winning costume designer Edith Head proud, faking illnesses, planning escapes, and coming up with hardship excuses to be sent home, most everyone in camp knows that he is faking it. There are even those that feel Klinger is saner than almost anyone else in the army. Maxwell Q. Klinger's popularity ranking on CharacTour is #2139 out of 5,000+ characters. See our top-ranked characters and read their profiles.